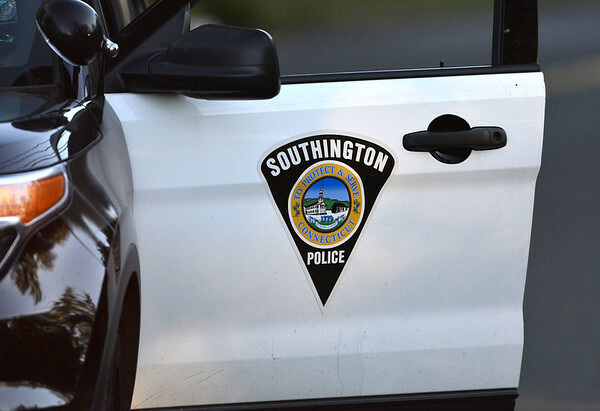 SOUTHINGTON - A Wolcott man faces charges for overdosing on heroin while driving on a busy road in Southington. Edwin Gammon, 56, was allegedly driving erratically on Meriden-Waterbury Turnpike on Aug. 19, at about 11 a.m., when he suddenly stopped in the middle of the road and passed out, according to the arrest warrant. Police said officers and an ambulance responded to the area of 262 Meriden-Waterbury Turnpike, where first responders had a hard time getting Gammon out of the vehicle, the warrant said. Despite being unresponsive, Gammon, police wrote in the warrant, would not let go of the steering wheel. After Gammon was finally taken out of his car, he was administered Narcan - an opioid antagonist - and became alert. He was taken to the Hospital of Central Connecticut’s Bradley Memorial Campus. Police said Gammon admitted to an officer that he had snorted heroin. Inside the vehicle, which had to be towed, police found a straw and two plastic baggies of fentanyl and heroin, the warrant said. The vehicle appeared as though it had sideswiped something, police said. Gammon, who is free on $2,000 bond, was not charged until this month. He faces charges of second-degree reckless endangerment and possession of a controlled substance. Gammon was scheduled to be arraigned this week in Bristol Superior Court. His case was continued to Nov. 7. Posted in New Britain Herald, Southington Herald on Wednesday, 24 October 2018 15:59. Updated: Wednesday, 24 October 2018 16:01.